Posted on Mar 20 by jennifer. Home gardens are on the rise, with more than 33 million households having their own food garden, says the National Gardening Association. 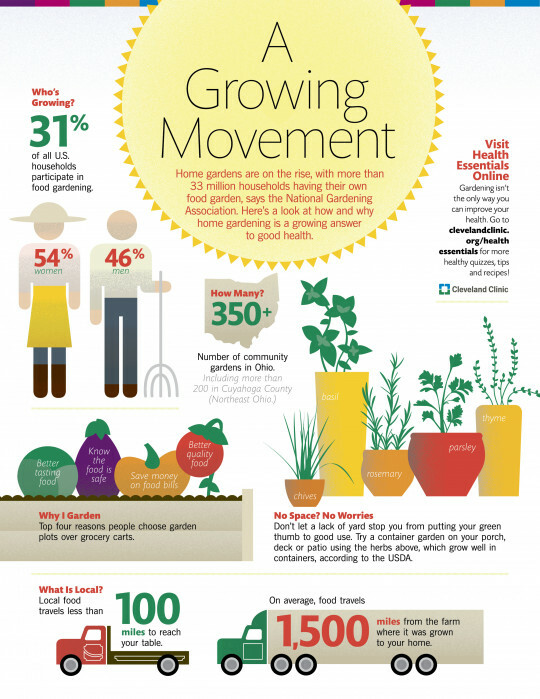 Here's a look at how and why home gardening is a growing answer to good health. Posted on Mar 12 by jennifer.